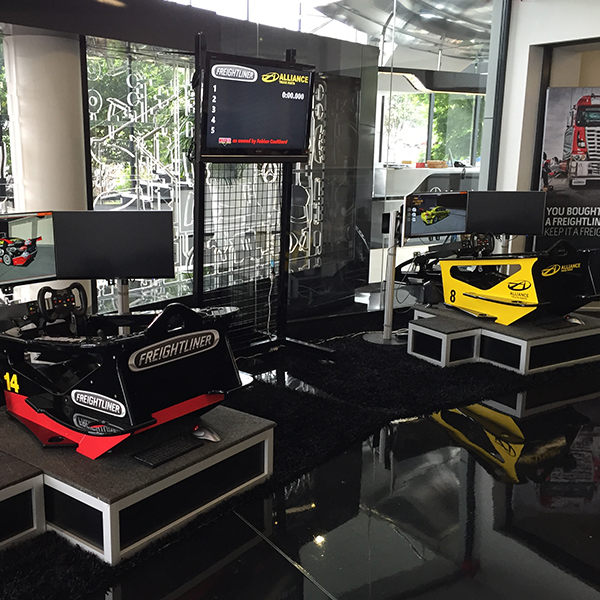 Hyper Stimulator has been manufacturing and providing race car simulators for corporate events in Australia since 1994. In 2000, Hyper Stimulator was introduced to New Zealand and has been the market leader in race car simulators ever since. We offer the highest quality products that are used by professional drivers for training. With our innovative technology you can also experience sitting in a cockpit whipping around a race course as though you were a Formula One driver or a V8 Supercar Champion. 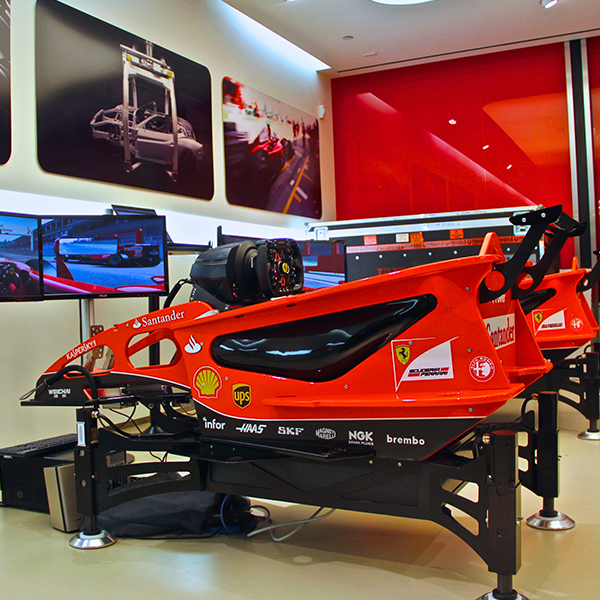 We pride ourselves on providing next level race car simulators that are excellent for corporate hire or for purchase. Regardless if you are looking for a full simulator package or just have questions we have has all the answers. Please contact us today to inquire further! Hyper Stimulator racing is for anyone who loves to experience "the real thing"
Welcome to Hyper Stimulator New Zealand, provider of the latest state of the art race car simulators that includes professional racing controls. 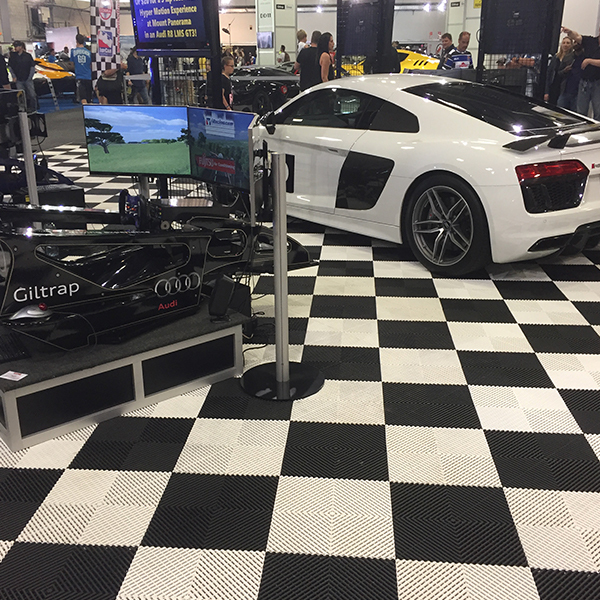 Since 2008 Hyper Stimulator has designed and engineered the ultimate interactive race car driving experience. The world of extreme motorsport and racing is thrilling and we are excited to bring these to you via our fully immersive race car and cockpit simulators. Our customised simulator software can be adjusted for different skill levels ranging from V8 Supercar drivers to beginners. The realistic simulation is not only a great training tool for real race car drivers but also for people seeking the next level racing experience your Playstation or Xbox can’t offer. Racing simulation takes racing games to the next level and this experience isn't just restricted to the in-store race experience or corporate events - You can purchase your very own Hyper Stimulator race car simulator with varying features to give you the best simulator experience out there! 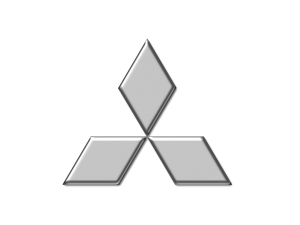 Offering the ultimate driving experience. We bring the race car simulators to you. Read through our FAQs here. 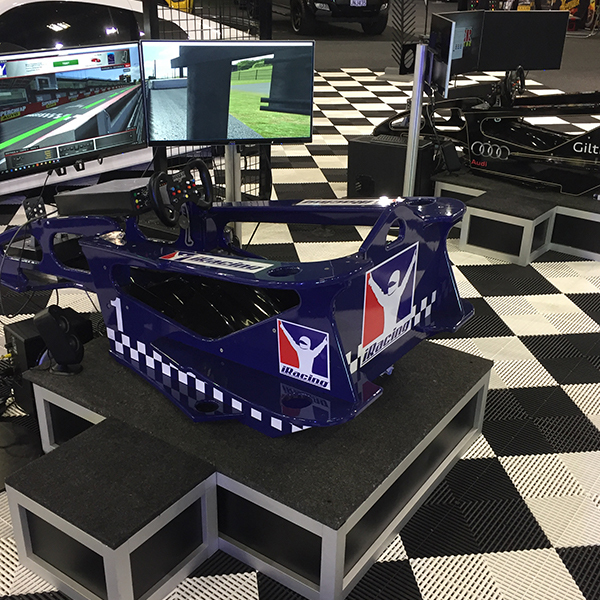 Our race car simulators will bring you one step closer to the real thing. If you've ever wanted to race a V8 Supercar around Bathurst, touching close to 300 km/h at the end of Conrod Straght, let us bring you the most realistic race car simulator experience available!